While I was on my trip, I read five books! Three of them were the His Dark Materials series by Philip Pullman. 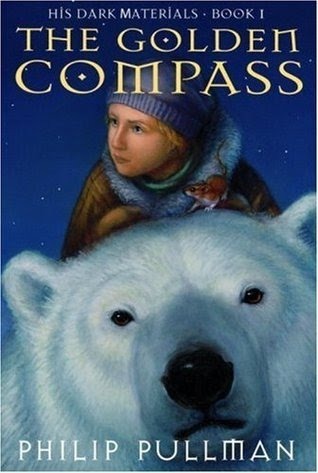 I think at some point long ago I had read The Golden Compass but I'm not sure I ever finished it. I knew I would read a lot, so I decided I would chose a series so I wouldn't have a hard time picking what to read next. They were all very good and pretty quick reads. Lyra, the main characater, is an orphan living at Jordan College in Oxford. Her life changes quickly upon the arrival of Lord Asriel, her uncle, who speaks of danger in the North and a celeslial phenomenon called Dust. He leaves Lyra in the care of Mrs. Coulter, a scholar and explorer, who tries to culture Lyra and change her into a well behaved young lady. Lyra can't be tied down, and sets off in search of her friend Roger who was taken by the "Gobblers" who have begun taking children from all over the country. Lyra sets to find out the truth, since no one will tell her what is really going on. At times, the story gets a little complicated. By the last 100 pages of the last book I was frustrated because there were so many loose ends to tie up even though most of the story was over. Other than that I really enjoyed all three of them and they were a good choice for vacation reading.